Cost: 130 euros per person. We can organise a single cooking lesson or up to seven lessons depending on your culinary skills together with any transfers that may be required. 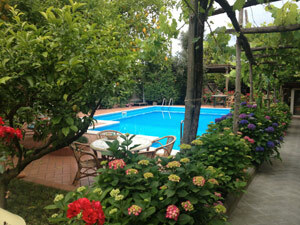 These can be pre booked and paid for in Sorrento. We would welcome other reviews from members who have been on a cooking course in and around Sorrento which we could share with others. A delightful excursion aboard a characteristic ‘train’ through the hills of St.Agata to the hamlets of Massa Lubrense. 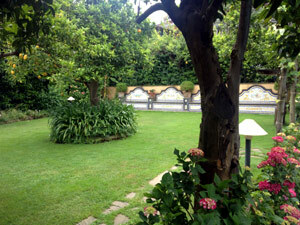 Enjoy the panoramic scenery and the opportunity to taste mozzarella, olive oil, limoncello and other local delicacies. Pompeii and Wine Tasting . A select tour for a maximum of 19 people in a luxury minibus to Pompeii followed by wine tasting on the slopes of Vesuvius. A light lunch in a traditional restaurant is also provided.